Seven schools and over 160 pupils performed comedies, histories and tragedies of Shakespearean proportions at Wairarapa College hall on Wednesday night. The Wairarapa heat of the University of Otago Sheilah Winn Shakespeare Festival provided a varied and excellent evening‘s entertainment according to organisers. Kuranui College is through to the national finals after winning the 15-minute scene for their take on The Tempest. 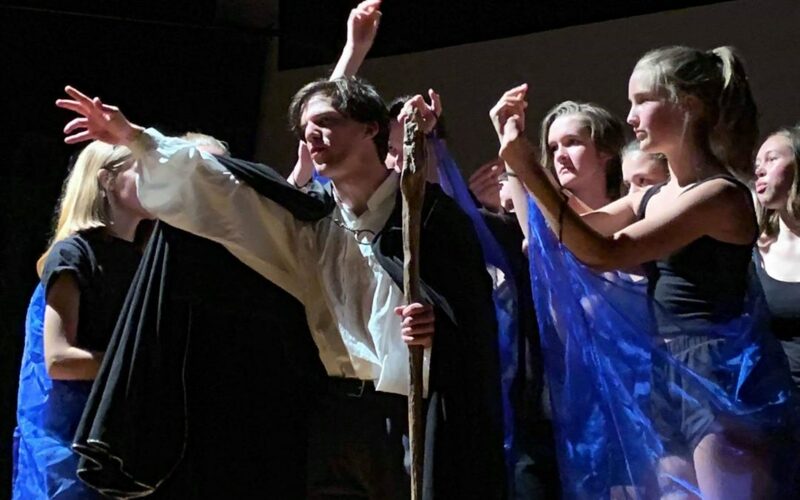 Joining them at the nationals will be Wairarapa College, who took out the five-minute, pupil-directed section for director Jackson Burling’s vision of King Lear. Kuranui pupil Hayden Tankersley’s interest in clowning and doing magic tricks came in handy as he played Prospero, the wizard. “I started acting in primary school, just a little bit. The thing I’ve spent longest doing is the clowning and circus stuff. Tankersley’s skills grew from there. He took up the devil sticks, then learnt to juggle. 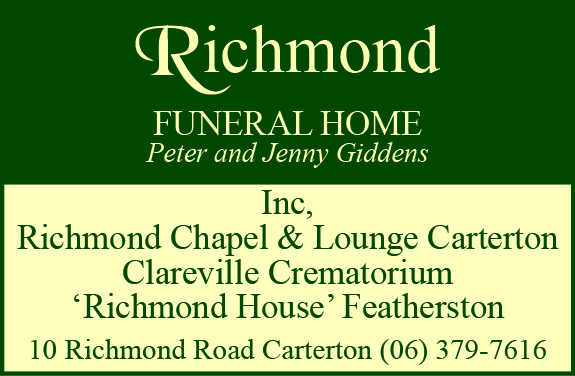 “I regularly go to the Carterton School gala, and I do birthday parties and markets quite often,” he said. Although the year 13 pupil has performed Shakespeare since year nine, this was his first year performing in the competition. 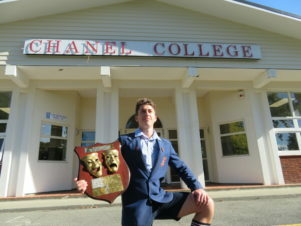 Tankersley wasn’t the only one clowning around on the night – Chanel College head boy Nicholas Penman took home the Barbara Vincent Memorial Shield for a comic role for his performance. “Drama’s one of my passions,” Penman who played Petruchio in an extract from The Taming of the Shrew said. While he wasn’t sure if he’d make it to Hollywood, Penman said he was just taking every opportunity he could. Rathkeale College’s Jacob Osbourne gained a direct entry into the National Shakespeare in Schools Programme for his performance as Henry Bolingbroke. The SCA Cup for delivery of text went to Wairarapa College’s Brooke Robertson for her portrayal of Cordelia. 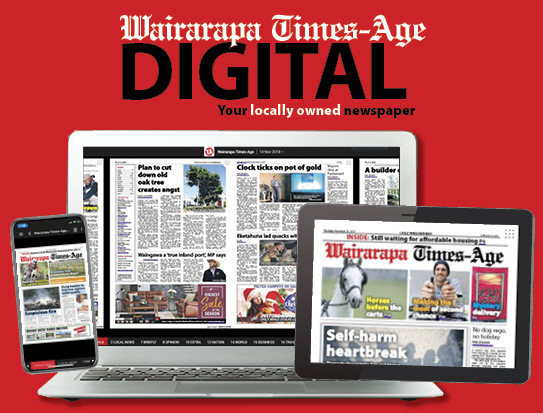 Kuranui and Wairarapa College will represent Wairarapa at the nationals to be held in Wellington over Queen’s Birthday weekend, which involves two days of performances from pupils around the country.